The sweet-smelling Hawthorn herb comes from a thorny, hedge-like tree made famous in popular culture by the King Arthur legend. The medieval hero, who presided over the Knights of the Round Table in 12th century Britain, is buried under a Hawthorn tree at his English grave in Glastonbury. However, the Hawthorn tree, which can also be spelled with an “e” as “Hawthorne,” was popular among natural medicine users all the way back to the 1st century – way before King Arthur. The Hawthorn tree species, which is related to the rose family, was first grown during the 1st century in the Mediterranean basin which includes parts of Asia, Europe, and Africa. Its tangly, thorny branches were believed to have been used to create the crown of thorns that Christ wore on the cross. Today, the Hawthorn tree is a staple all over the world, including in North America where it is used for hedgerows in order to create natural privacy fences. Fencing with this tree, however, is such a waste since it can be used with relative ease for cooking and curing ailments. Hawthorn wood made it to America along with the first settlers from England. Because the tree first flowers in May, it is also known as the Mayflower. That nickname adorned the first boat that brought pilgrims to Plymouth, Massachusetts to settle the U.S. That boat was built from wooden planks cut from the Hawthorn tree. The Hawthorne tree is known for its quick growth, long life span of 400 years, and its ability to grow under most any circumstance. The soil can be acidic or alkaline. The sun exposure can be partial or full. There are 1,000 different species of the tree and on average the Hawthorn grows 20 to 30 feet high and spreads about 8 to 15 feet wide. The tree is so rich in healing properties that nearly all of its parts have been used in alternative medicine for thousands of years. 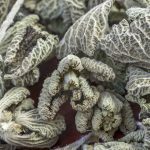 Herbalists routinely use the veiny leaves, the small white buds, the sweet red berries, and the tree’s pink and white flowers which bloom twice yearly. Processing the herb is unnecessary, although it is almost always dried, crushed and turned into powder form. However, it is perfectly effective to simply chew the leaves and buds raw and straight from the tree, as many did in the ancient days. The plant’s berries, which grow during summertime in green, white, pink or red hues, can be eaten straight from the tree as well once they are ripe. The ripest berries are dark red and nearly black. Those who wish to mix the herb in homemade tinctures, balms, or other concoctions for medicinal uses can process the plant by drying, roasting or boiling the leaves, flowers, or buds and adding alcohol, glycerin and other ingredients. If you buy the Hawthorn herb from a store or pharmacy, it will most likely have been dried and turned into a powder. The May flowering of the Hawthorne tree used to be considered a sacred event among pagans who believed that the tree had special protective powers. In order to benefit from the magic power, ancient peoples indulged in a range of superstitious practices with the Hawthorn tree. For example, ancient Greeks burned Hawthorn wood at weddings and gave the blossoms to the bride and groom for their safety. The Hawthorn also protected the womb of the bride and encouraged fertility. The leaves of the Hawthorn tree were placed alongside any newborn in a cradle to ensure their survival. The Hawthorn could protect the children and the house from demonic spirits and witches. One reason Hawthorn was linked to the protection of kids and nuptials was because it was the symbol of minor Roman goddess Cardea. Cardea presided over marriage and babies, using the branches and leaves of the Hawthorn tree as her tools. She was called “White Goddess” likely after the white buds of the Hawthorn. Eventually, the power of the goddess became associated with the tree itself. Cardea is not credited for creating Hawthorn, however. That credit goes to the God Thor, who created the tree with a zap of lightning, according to legend. Because of that, Hawthorn was also thought to protect people during thunderstorms. Today, Hawthorn is still believed to have protective energy, but not the superstitious kind. Many scientific studies have led to proof that Hawthorn can have a curative effect on the body. Hawthorn herb is in fact quite protective – although not in the mythic ways mentioned above. The leaves, berries, and flowers of the Hawthorn tree are filled with different types of bioflavonoids which bestow it with healing power. Bioflavonoids, also known as simply flavonoids, are plant pigments that have the same heart-protecting effects as the dyes in red wine. There are more than five different flavonoids in the Hawthorn herb, but vitexin and hyperoside are believed to be the most coveted. Also coveted are oligomeric proyanidins. These are long chains of flavonoids and have a greater and more diverse power than single flavonoids. The herb contains chemicals which block enzymes that destroy heart muscle and tissue. Research trials have shown that individuals with congestive heart failure can experience recovery and heart muscle repair while taking Hawthorn. The Hawthorn herb strengthens cardiac muscles and fights heart disease by causing the heart to pump blood more easily and vigorously. The arteries in the heart are able to relax under the influence of the Hawthorn herb so there is better blood flow to the heart. This also relieves heart pain. Studies show that people suffering from heart failure do so because their hearts do not pump enough blood. 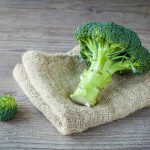 This can lead to shallow breathing, chest pain, and a continual state of exhaustion because there is not enough oxygen or nutrients in circulation. The Hawthorn herb can lessen or erase all these symptoms because it increases the forcefulness and the speed of the heart’s pumping action. This enables people with heart ailments to exercise and do other daily work without over-taxing their hearts. Those who simply struggle to breathe or who have minor heart palpitations can also benefit from the Hawthorn herb. The herb has been used for heart palpitations and other heart problems since the 1700s. The natural chemicals in the Hawthorn herb block enzymes in the body which cause constriction of the blood vessels. When blood vessels are too tight, the blood must force itself against the vessel walls to circulate throughout the body. 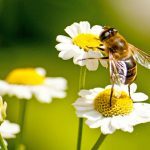 However, when the Hawthorn herb prevents constriction and instead allows the blood vessels to dilate or open wide, blood pressure is greatly reduced. A flavonoid in Hawthorn called rutin makes the blood vessel more elastic so that it can flex as the blood is circulating. Blood flow throughout the body becomes more efficient, reducing blood pressure. High blood pressure is known as hypertension. The use of Hawthorn for hypertension has been practiced since the 1600s. The easing of blood pressure can help people diagnosed with a range of related ailments, such as angina and arrhythmia. People who suffer from angina have frequent chest pain because there’s not enough blood flowing to their heart area. 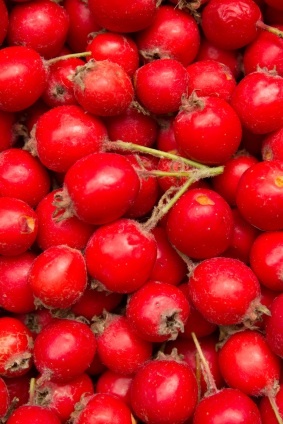 Research shows Hawthorn berry extracts can relieve angina after less than one month of use. Circulatory problems such as having cold hands or feet due to lack of blood to extremities can also be solved by treating blood flow with Hawthorn. The Hawthorn herb was found in clinical trials to increase the body’s ability to break down and remove cholesterol, whether that cholesterol was created by the body itself or was acquired through unhealthy foods. Specifically, this herb has the power to cleanse the blood of LDL, otherwise known as the bad cholesterol. In addition to that, the Hawthorn herb can stop the body from producing excess cholesterol in the first place – a preventative measure. When fat and plaque build up and harden on artery walls, the arteries can become blocked. This ailment is known as atherosclerosis. The Hawthorn herb has the ability to dissolve and remove plaque buildup in the arteries. Oxygen in free radicals causes the body to age. Antioxidants are chemicals that fight oxidation of body tissue by free radicals. The Hawthorn herb has been successful in fighting oxidation and aging because the pigments in the berries and flowers contain tons of vitamin C, a natural antioxidant. The joint pain caused by arthritis can be alleviated by Hawthorn extracts because the herb helps the body retain more protein and collagen to support joints and allow joints to move with ease. 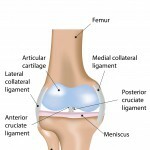 When someone gets arthritis or gout, the inflamed joints generally lose collagen and protein. 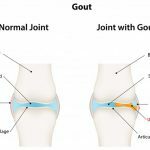 Hawthorn has been used to treat gout since the 1300s. The Hawthorne Herb is a natural tranquilizer and can help one relax or fall asleep. To treat insomnia, infuse hot water with dried Hawthorn leaves. The herb is a diuretic that can rid the body of excess water and even flush out kidney stones. 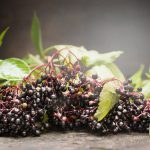 Many herbalists recommend boiling dried Hawthorne berries in hot water to make a tea that relieves irritable bowels and other digestive problems, like diarrhea. 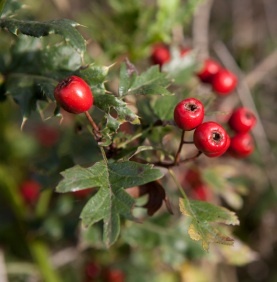 A little known use of the Hawthorn herb is to drink a tea of Hawthorn leaves and berries to cure sore throats. 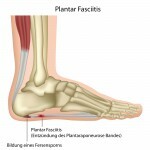 The tea is an astringent which heals raw and sore areas and stops bleeding. There’s a myth that one can never take too much Hawthorn herb, allegedly because the body will simply excrete what it does not need. This is incorrect. Herbalists advise users to take the lowest dosage recommended because Hawthorn works best when it slowly accumulates in the body over time. Most sources and product labels recommend a dosage of Hawthorn herb that equals 200 milligrams daily for medicinal uses. It can be taken for an indefinite period of time. It is not recommended to consume more than 1800 milligrams of Hawthorn herb in one day. Some advocates of Hawthorn recommend that consumers focus not on the amount of the overall extract or herb, but on the amount of flavonoids in the dosage. Seek to get between four and 20 milligrams of flavonoids per dose, if possible. If your product lists percentages of flavonoids instead of milligrams, go for the one that offers at least 2 percent of flavonoids. Because vitexin is the most popular flavonoid found in Hawthorne, you might see a percentage listed specifically for vitexin on your product. A 1.5 percent dose is good for this pigment. For best results, take the recommended amount thrice a day for at least a month and a half. Dried berries of the Hawthorn tree originally were more popular than flowers and leaves. Today, the opposite is true. Flowers have been scientifically found to contain more of the flavonoids which fight aging and strengthen the heart. In that respect, flowers or preparations using dried flowers are best. All parts of the tree have some flavonoids, however. Berries are often preferred for Hawthorn tea, which is known for its bitterness. This tea was a popular substitute for coffee during the World War I era. All parts of the Hawthorn are available in capsules, dried solids or liquid form. Because the Hawthorn herb can act as a sedative, falling asleep after taking large doses is a possibility. Therefore, do not operate heavy equipment or drive after taking it. Also, because the herb lowers blood pressure, it is possible in rare cases for a person’s blood pressure to drop so low that fainting is possible. This is rare, however, since the Hawthorn herb also makes the heart pump blood faster and would therefore create a balance that would yield normal blood pressure. An extremely large dosage would be necessary to lower blood pressure to a dangerous level. Some people experience heart palpitations while taking Hawthorn. Others endure slight nausea or headaches. There are no toxic effects of this herb. It is not known to counteract most prescription drugs. However, tell your doctor if you are taking Beta-blockers, Digoxin, Phenylephrine and Calcium channel blockers, all of which might be mildly affected by Hawthorn herb. The Hawthorn herb is not classified as a controlled substance in any state. The all-natural herb is legal to privately cultivate and use everywhere. Consumers can purchase forms of the herb from vitamin stores or through online pharmacies without prescriptions. If you’d like to buy a small Hawthorn bush and grow the herb yourself, consider a brick-and-mortar nursery or even the online Clifton’s Nursery and Garden Center (cliftonsnursery.net) which sells small 5 gallon Hawthorn plants for $50. For convenience, consider visiting a natural health foods store or vitamin shop for dried Hawthorn herb. Dried herb costs between $7 and $26 for a three-month supply. Some popular online vendors for Hawthorn include Amazon.com, HealthSuperstore.com, and GNC.com. I’ve used Hawthorne for a long time, for a PVC Arrhythmia, and it’s been wonderful. I did notice, however, that there are several Hawthorne trees growing in a row on the property. Needless to day, I can cease purchasing it, and make the tea or use the berries. Had I known this past spring, I would have used the flowers as well. They’re such a lovely addition when in bloom. Since the time I got off all my medication, which was doing me more harm than good, I depend on Hawthorne during allergy season. With the additional build up of mucus in my head and chest, the excess coughing makes the arrhythmia kick in. The Hawthorne corrects this. Thanks for all the additional information. I am also happy to share. Hi lea. I’m trying to find dried hawthorn leaves but I can’t find any? Can you help me? My name is needa. You can email me at nmusitief@yahoo.com. thanks. I have many buckthorn trees growing on my property. Can anyone tell me if the buckthorn has the same healing propertias the hawthorne? If so, I can supply a quantity of it as I have been cutting and burning it. Thank you so much for the wonderful information on ‘ Hawthorn’ i have used a hawthorn combination thirty years ago when i was suffering from severe Hyperthyroidism it was very effective or i should say better than the the drug ‘ PROPRANALOL’ i am a man and this drug killed me obviously and it was during my prime time I am 60 now I had remained single. Please bear with me my comment might look winding but never mind. For those who are suffering in silence (Hyperthyroidism) stay away from all caffeinated drinks or product, alcohol and smoking. I did all this plus pranayama yoga breathing technics. I had stopped the Hawthorn and the drugs altogether for all this years I was okay but lately my heart was jumpy again and I startered the Hawthorn berry I bought from GNC whow its so helpfu,l am feeling very relaxed and sleeping well but my hand writing is bad my hands are shaking and its very stressful only god knows how I am suffering…. Sorry–Sachi, you are in my prayers. I get all my vitamins and herbs @ PuritanPride. They have free shipping and I always find better prices there. I check several sites for prices and always use PP because free shipping saves me a lot of money. I see so much about the power of hawthorn extracts at 1.8% but how much hawthorn would this amount to. Does Any body have specs on how much of the vitexin is in the crushed herb? are you getting a massive potency difference in herb vs extract? What is the half life of a cup of hawthorn tea in the body? Thank you very much. Hi Kim, loved the quick use layout, information ,and almost intuitive style.Thanks.